Height adjustable work surface reduces repetitive motion injury and fatigue. Hand crank safely and easily folds out of the way. 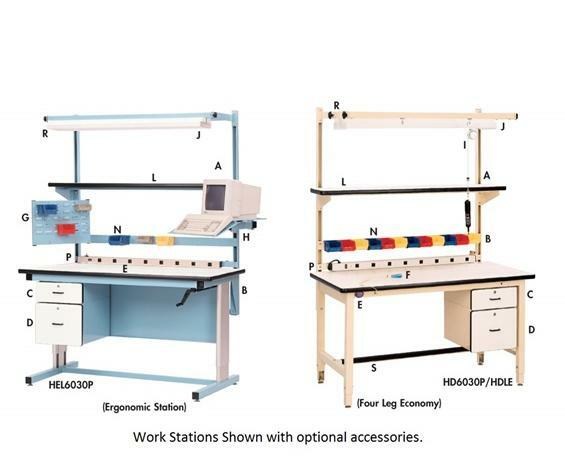 Ergonomic Work Stations help increase productivity by creating a station to meet your needs. Workers of every size can perform tasks comfortably by turning the handle to adjust the work surface. Durable and rugged 330 lb capacity. Work stations efficiently handle multiple shifts and tasks at one place. Tough 1.25" thick work surface stands up to hard industrial work. "T" mold edges with rounded corner adds a handsome touch. Work station includes surface, frame and leveling glides. 20" steel modesty panel provides lateral support. Available in Beige, Blue or Gray. FOB Shipping Point. 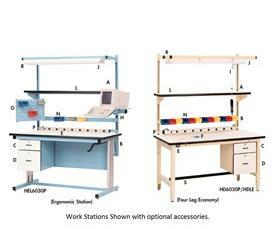 Handsome work station provides efficient pull-pin height adjustment. Industrial grade features include 16 ga. 2" square legs, 2" thick front and 8" thick back rails. Safely handles 1000 lb capacity loads. 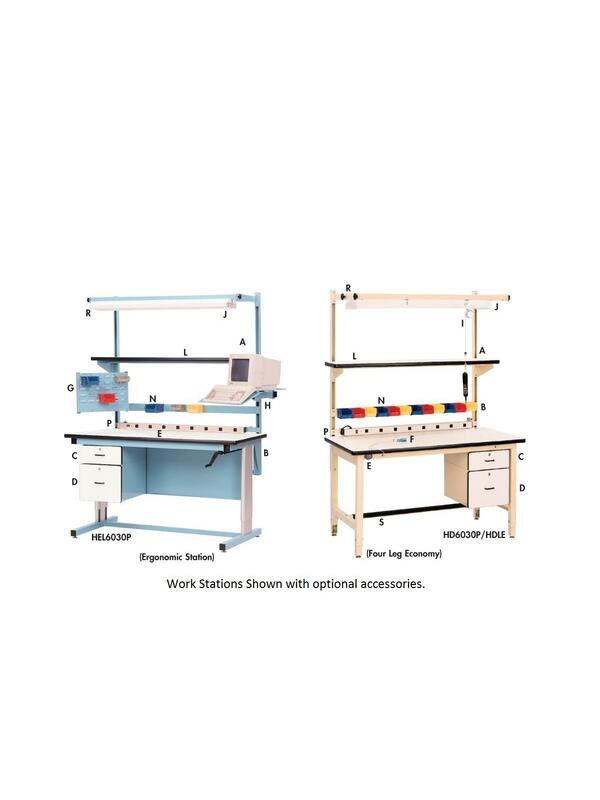 See Related Items tab for Ergonomic Base Work Station and Electric Height Workbenches - Optional Accessories.